It’s no secret — the lavender plant provides a bouquet of benefits. The fields are stunning, the blooms aromatic, and it has proven itself to be a versatile remedy for centuries, with oils rich in health benefits. Ian and Isabelle Baird started it all in 2011—planting their first 10,000 lavender plants in 2012— after buying a hay and horse farm. 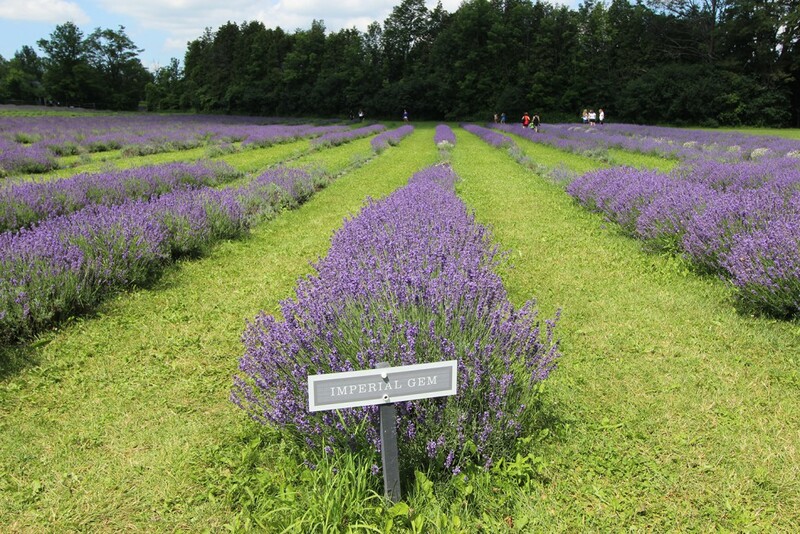 But the seed for Terre Bleu was first planted years earlier, when the Bairds visited a lavender farm while on vacation in Quebec. “Inspired, we then spent years researching and learning all we could about lavender,” they explain. 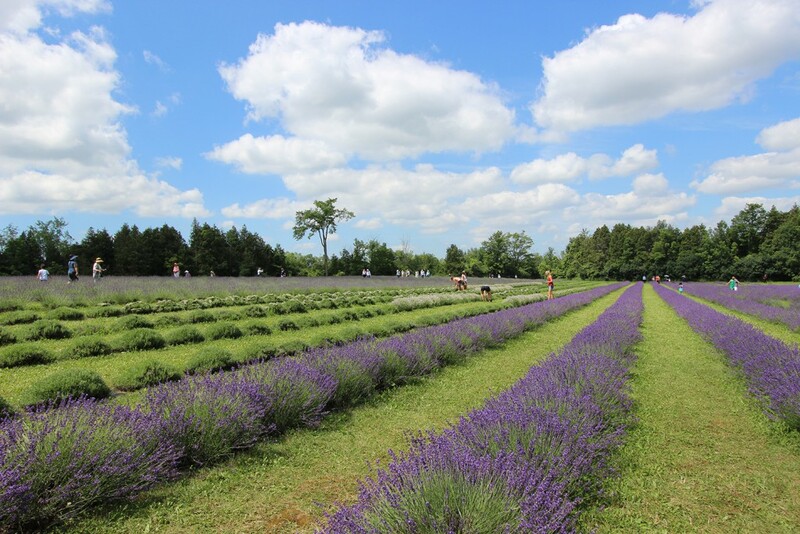 Now a blooming and booming organic family farm, Terre Bleu grows 8 varieties of lavender on the idyllic property; and the Bairds are assisted by about 40 other staff — including some agricultural students. There are many uses and benefits to reap from lavender, whether it’s for culinary purposes, decor, or for organic body products and cosmetics. 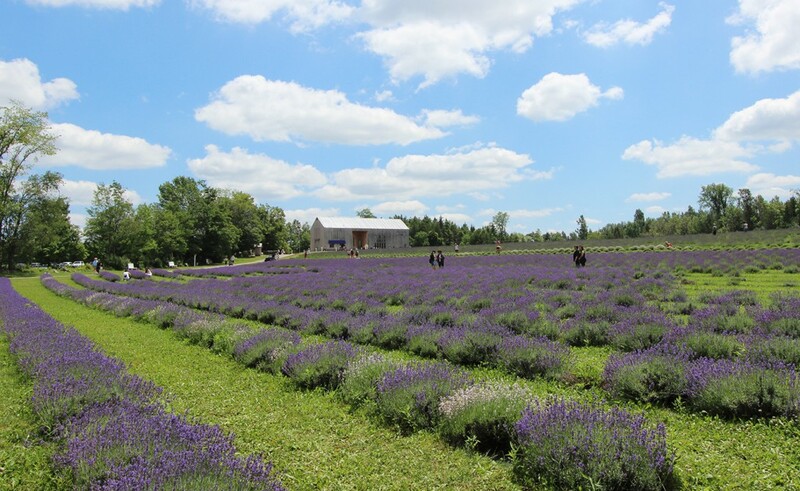 Terre Bleu distills or dries their lavender into a range of natural products that are for sale at the farm and online, including essential oils, lotions, soaps, dried bouquets, wreaths, shortbreads, macarons and more. 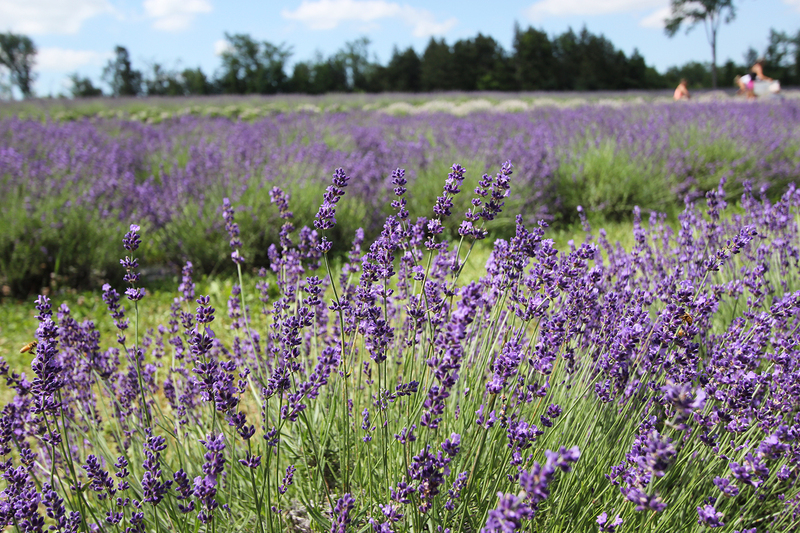 The lavender is harvested throughout the summer for distillation and drying, beginning mid-July (exactly when depends on the variety). Like any other farmed crop, they can also experience damage and losses due to weather conditions. Some varieties of lavender grown in other countries and areas of North America are not suitable for a harsher Ontario climate. The prodigious lavender fields are clearly the heart of the farm, but Terre Bleu is also home to an apiary — fostering a symbiotic relationship. 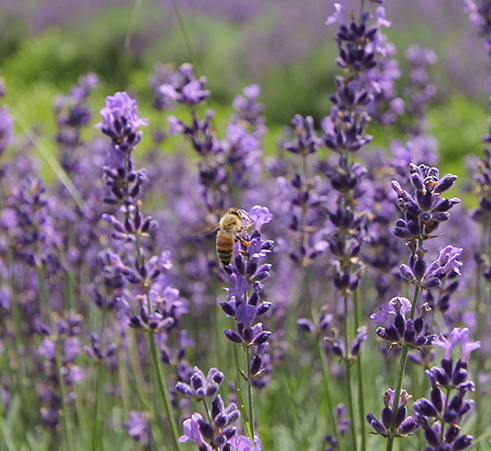 Along with the aforementioned products, you’ll also find a rare commodity at Terre Bleu: pure lavender honey. “Honey produced by bees that have pollinated lavender plants has a unique and exceptional taste,” their website explains. The honey is naturally infused with the taste of the lavender plants that the bees have been pollinating throughout the season. So the honeybees in the apiary really do most of the work, the Bairds explain, and the honey is then extracted for use in their organic products. 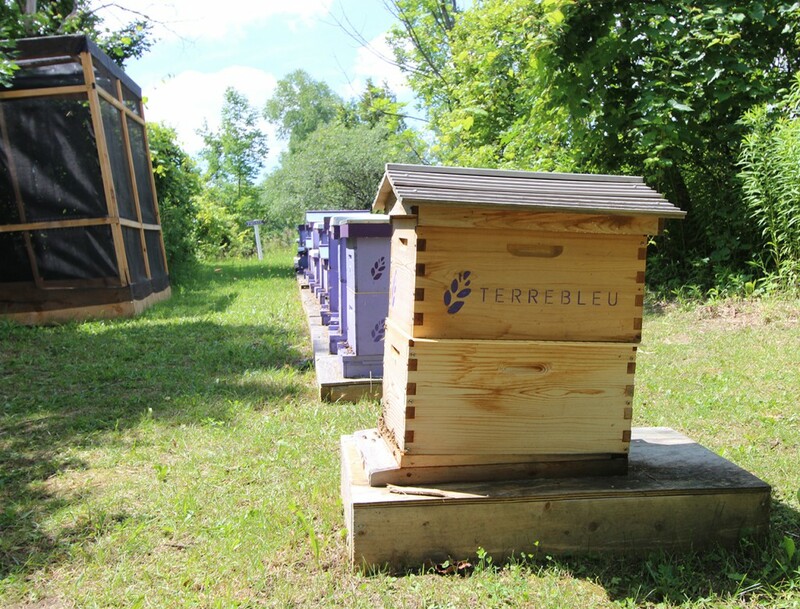 But activity at Terre Bleu doesn’t end with the bees and lavender. There’s also a deep appreciation for equestrian activities at Terre Bleu, with an aim to highlight the importance of horses and their connection to the land. Since its inception, the vision for Terre Bleu has entailed creating this agro-tourism experience that educates and entertains. “Agrotourism creates demand for our products, and helps build our farm brand and sense of place so that visitors have a commitment to our sustainable farming practices and will pay the true costs,” Ian shares. Their educational guided tours, as well as taking photos in the fields, are the most popular activities among visitors. But guests can also visit the essential oil distillery, honey house, equestrian ring, or take part in the variety of activities and events set in their lavender fields — even yoga classes. There’s also locally-inspired cooking classes on the property. If you haven’t visited the farm or attended one of their events, check out their Facebook or Instagram — it’s clear Terre Bleu is a champion of modern agri-tourism, proving that the interest is there. Ian tells us they plan to continue growing into the future, and add even more environmental education features to the farm. The farm is currently in the midst of its busiest time of year, the peak being for six weeks from July to mid August. 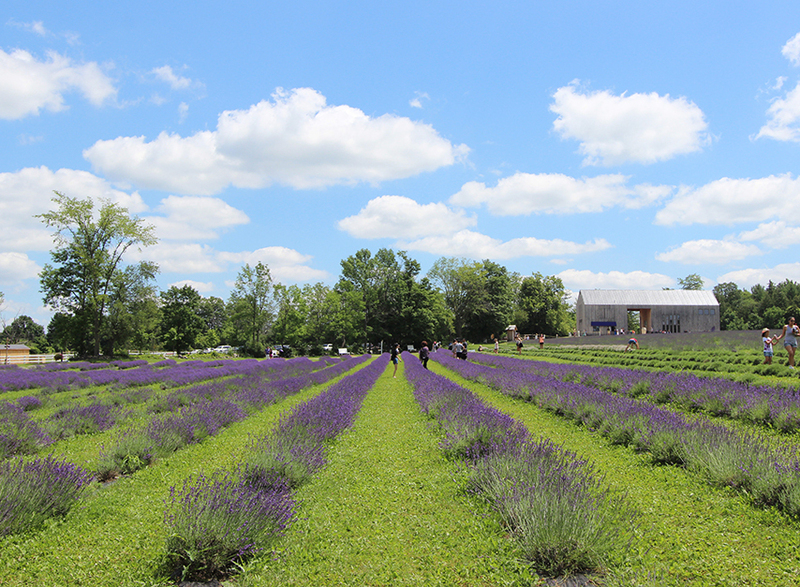 Their annual Joie de Bleu Lavender Festival this past weekend saw such an abundance of visitors that they had to make the tough decision to close early for capacity and safety reasons, but watch for the renowned festival to come back next year. “The lavender festival celebrates the harvest, and educates the public on cooking with lavender and its many other use,” Ian says. If you’d like to learn more or experience the captivating bloom while it’s here, visit Terre Bleu now, and see why they were awarded the Canada 150 Garden Experience designation by the Canadian Nursery Landscape Association, the Canadian Garden Council and Prime Minister Justin Trudeau.